Let’s talk about something that’s seldom discussed in today’s digital age of professional audio equipment. Power supplies – where it all starts in audio. The best A/D converter on the market will sound noticeably lacking, to put it mildly, if not supplied by voltage rails that meet today’s stringent converter performance requirements. Maximizing power supply line regulation, load regulation, time stability, temperature stability, and efficiency while minimizing noise, ripple, and operating temperature are all part of the delicate balance that has been the focus of much of iZ’s R and D over the years. RADAR and ADA have two power supplies – a digital supply, and an analogue supply. The digital power supply handles all of the requirements of all of the digital electronics, while the analog supply handles only the A/D and D/A converter’s critical analogue components. Many digital audio devices on the market today use standard off-the-shelf +/- 12 volt computer power supplies for their converters due to their low cost. However, iZ has custom designed the analogue supply to provide solid +/- 18 volt, low noise, low ripple, high stability voltage rails to all of the analogue front end (A/D) and back end (D/A) analogue sections including ultra high slew rate op amps with high common mode rejection, precision anti-aliasing filters, differential amplifiers and converter signal conditioning. Other high end analogue design techniques include careful analog and digital ground plane management, super high quality (that means expensive) coupling capacitors, and most importantly, a hand tuned frequency synthesized digital PLL (Phase Lock Loop) to provide one of the cleanest clocks in the industry. How important is clock jitter? Clock jitter translates to sidebands in the audio spectrum, i.e. a 1kHz tone coming out of a D/A with a jittery clock will have 3rd, 5th etc. harmonics with exponentially decreasing level as you get away from the fundamental frequency. The amplitude of these harmonics will be proportional to the amount of jitter. iZ also pays very close attention to intermodulation distortion resulting from the presence of a plethora of ambient “digitally noisy” frequencies present in today’s high tech digital environment. Differential data and differential clock lines with micro-strip-impedance-matched digital bus-lines, along with multi-channel data re-phasing in the custom iZ designed core silicon ensure that all 24 channels are not only actively phase aligned for sample accuracy but also aligned for the leading edge of the clock. The Adrenaline¬Æ DR digital routing engine combines the latest high speed DSP technology with iZ’s proprietary large scale integrated TrinityTM chip which enables ADA to maintain near zero low latency to/from DAWs, and which allows RADAR to record on a single disk at sample rates from 32 to 192 kHz. All real time digital audio operations are performed by dedicated, hand-optimized high speed logic cells that leave host-based, latency-prone systems gasping for clock cycles. The Trinity chip ensures that every precious byte of your audio data is delivered with clock-edge accuracy for absolute faithfulness to the original signal. Built on Adrenaline DR technology, RADAR and ADA II transcend the traditional barriers of performance and sonic quality while maintaining the simplicity and reliability iZ product users world-wide have come to expect. RADAR and ADA II encapsulate over twenty years of professional high end digital audio development. 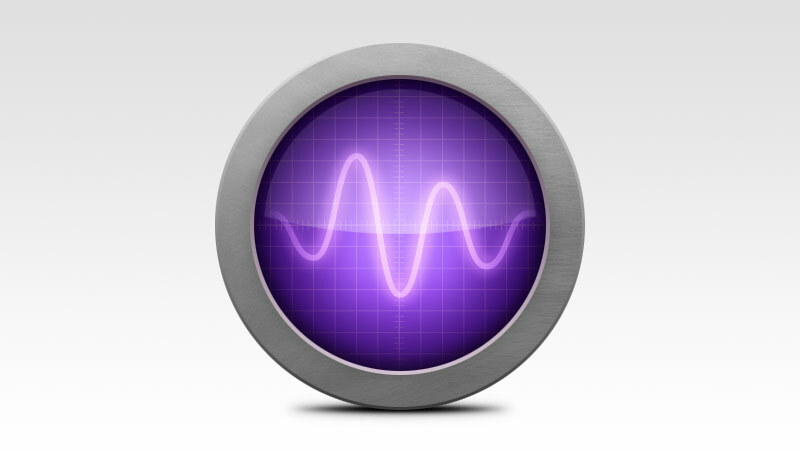 Simply put – they are the ultimate audio recording and DAW interface machines available. The engineers at iZ have been feverishly busy redesigning the heart and soul of RADAR and ADA – it’s A/D/D/A boards. You already expect world-class sonics from RADAR. Prepare to be amazed yet again. iZ has designed the Classic 96 and the Ultra Nyquist 8 channel analogue I/O cards. These are truly the most pristine and euphonic converters iZ has ever produced. iZ’s Classic 96 analogue I/O cards maintain high-quality, signature iZ audio without compromising disk space. Never harsh or biting, the iZ Classic 96 converter cards are optimized to bring clear, transparent sound to rock and live recording applications. The Classic 96 analogue I/O cards boast the same warmth, bottom end, and performance characteristics as the historic Classic analogue I/O cards, but with the sample rate range extended to 96 kHz. And the long awaited follow on to the legendary Nyquist (96 kHz) and S-Nyquist (192 kHz) analogue I/O cards – the Ultra Nyquist analogue I/O option cards. With lower noise and distortion than even the famed S-Nyquist design, the Ultra Nyquist analogue I/O boards combine the best attributes of both the Nyquist and the S-Nyquist into one unified design. iZ Technology’s Ultra Nyquist analogue I/O cards will lift the blanket off any mix. Characterized by rich, warm tones, with incredible presence and crystal clear highs, the Ultra Nyquist converters preserve audio integrity by providing the highest high-fidelity conversion possible on any recording. While other systems focus on processing to compensate and adjust your tracks, iZ takes a different approach. Our secret formula? Don’t touch it! We do whatever it takes to make sure the signal enters and leaves the machine with as few digital fingerprints as possible. Over 20 years of feedback from the industry’s most respected professionals tell us that our formula is working. Learn more about our best sounding analogue I/O boards ever.